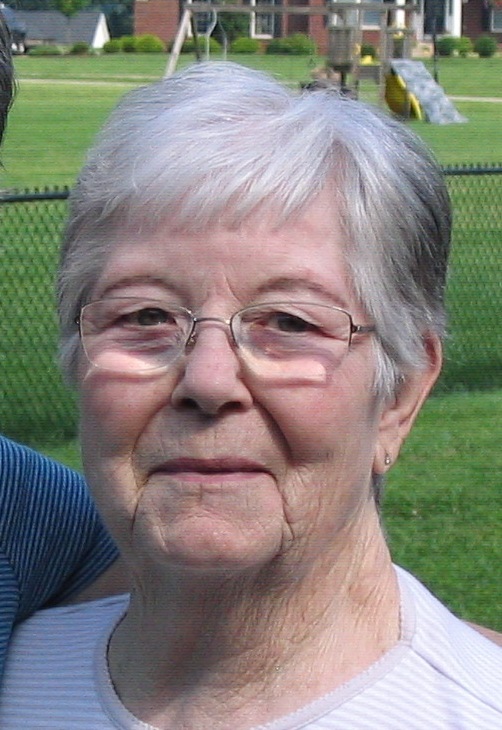 Martha Jane Bailey, age 83, died August 12, 2012, in Louisville, Kentucky, after a long illness. She and her late husband, Chester, lived several years in El Dorado Springs. She was born on May 9, 1929, in Carey, Ohio, to William A. and Rachel (Jordan) Buckley, their 9th child. She married Chester E. Bailey on April 13, 1946 and lived most of her life in Maud, Ohio. She was employed by General Electric as a financial representative until her retirement and has lived after her husband’s death in 1996 with her son, Chet A. Bailey, in Shepherdsville, KY. Mrs. Bailey was a talented and accomplished woman: self-taught in business, a tailor who could make her own patterns and design and create fashions; a quilter whose quilts were of professional quality; a devoted wife and mother who worked full time out of the home at a time when married women rarely did; who physically helped build the family home from the foundation to finish. At the same time she made her family comfortable, cared for, and loved. She supported her children in their aspirations and helped them accomplish their educational goals. Her health had deteriorated since her husband’s death, but she still did everything she could to enrich her children and grandchildren’s lives. She is survived by her daughter, Patricia Bailey of Longmont, Colorado; her son, Chester Bailey of Shepherdsville, Kentucky; her grandchildren, Patrick Hoover and Elizabeth Hoover; two great-grandchildren: Finn Hoover and Rachel Woller; two brothers Robert Buckley of Oregon and Gail Buckley of Ohio; and three sisters: Virginia Schiller of Ohio; Pauline Talarico of California and Annabelle Joliffe of Ohio. Funeral services will be held in El Dorado Springs, Missouri, where she will be buried next to her husband in South View Memorial Gardens in the El Dorado Springs City Cemetery on Friday, August 17 in a private graveside ceremony. Rev. Lowell Mize will officiate.